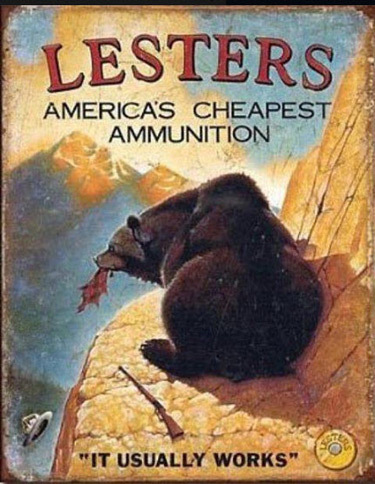 Nice parody of 1900-era Remington/Western/Winchester ads. The Army and Pentagon, in a statement, acknowledged “the need to automate the process” and will make it a priority in future budgets. 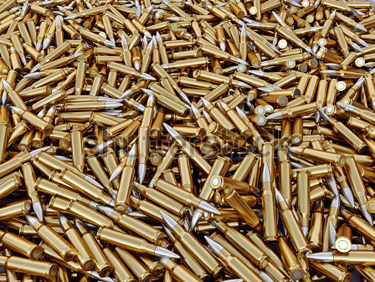 In all, the Pentagon manages a stockpile of conventional ammunition worth $70 billion. I don’t know about missiles, but I seriously doubt that any ammunition manufactured from the Vietnam era onward is not going to fire. I have myself inherited or purchased old rounds produced long before WWII, and all of them fired just fine with the single exception of a box of 9mm rimfire solids (which probably dated back to before WWI). Why not just offer the cartridges, with a disclaimer, at bargain prices to the American public via the Civilian Marksmanship Program? All over the country people have been stocking up on guns and ammunition, leading to inventory shortages nobody has ever seen before. It has only gotten worse recently, post-Sandy Hook, but even back in December a gun rights blog was reporting that inventories were at astonishingly low levels. Ammunition Stock levels have fallen by more than 90% from the pre-Election Day levels. Less than 10% remains available. Available Ammunition links will be updated throughout the day. 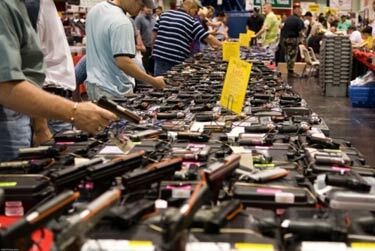 Handguns are down by 80%, Long Guns by 63% for an overall 72.2% reduction in firearms inventories. AR pattern rifles are becoming particularly difficult to source. The Chattanooga Times-Free Press reports that this month, ammo shelves are commonly empty, police departments report months-long delays in receiving their ammunition orders, and it is becoming difficult to source reloading supplies. They didn’t know when they’d be getting anything back in stock, from magazines to rifles to pistols. Manufacturers were running full-bore, but couldn’t come close to keeping up with market demand. It wasn’t just the AR-15s, the AK-pattern rifles, the M1As, and the FALs that were sold out. It really hit me when I realized that the World War-era M1 Garands, M1 carbines, and Enfield .303s were gone, along with every last shell. Ubiquitous Mosin-Nagants—of which every gun store always seems to have 10-20—were gone. So was their ammo. Only a dust free space marked their passing. I’ve never seen anything like it. Every weapon of military utility designed within the past 100+ years was gone. This isn’t a society stocking up on certain guns because they fear they may be banned. This is a society preparing for war. What a .40 S&W Hollow Point bullet does to a block of ballistic gelatin gives a fairly accurate picture of what the same bullet would do when fired into the human body. Maj. Gen. Jerry Curry USA (ret.) argues that Congress ought to be looking for a serious explanation for such massive ammunition purchases. The Social Security Administration (SSA) confirms that it is purchasing 174 thousand rounds of hollow point bullets to be delivered to 41 locations in major cities across the U.S. No one has yet said what the purpose of these purchases is, though we are led to believe that they will be used only in an emergency to counteract and control civil unrest. Those against whom the hollow point bullets are to be used — those causing the civil unrest — must be American citizens; since the SSA has never been used overseas to help foreign countries maintain control of their citizens. Shouldn’t Congress hold hearings on why the Administration is stockpiling this ammunition all across the nation? How will it be used; what are the Administration’s plans? Anthony Martin points out that the Federal agencies’ explanation that they are buying all these rounds for practicing has a problem. When this reporter first heard the government’s explanation for the hollow point bullets, the warning bells immediately rang indicating a cover up. As every gun owner knows if they are serious about developing and maintaining their shooting skills, the type of bullets used for practice at the firing range are normally different from the ammunition one would use when getting the firearm set to be used in the event of a home invasion or other situations in which one’s life is in mortal danger. Firing range bullets are much less expensive and are not designed for the day to day use of the gun for maximum self protection. One uses the more expensive variety, such as hollow point bullets, for real-life danger. Thus, immediately this reporter knew that when the government claimed that its agencies had purchased multimillions of rounds of hollow point bullets for “practice and training” at the firing range, something was amiss. Most citizens are likely unaware that such ammo is not used for practice and will accept the government’s explanation at face value. This is in all likelihood what the Feds are counting on. Of course, it may be that, if you are a federal agency, and you have tax payers paying for your practice ammunition, you aren’t concerned about economizing with cheaper practice ammo. Even taking practice shooting into account, the ammunition purchases on such a tremendous scale by agencies like Social Security and the Weather Bureau, which don’t even really have a law enforcement function, is still bizarre enough to produce a need for serious questions. Saying that agency security guards needs enough hollow point rounds to shoot every living American five times is just a bit far-fetched. Some headlines are so good they just have to be quoted. The NRA is not completely above criticism. I was a bit appalled by its cynicism in simply making a backroom deal carving out its own exemption from democrat bans on campaign free speech. But we have to give the NRA’s current leadership credit, they have been doing an effective job of defending the particular segment of American liberty under their purview that is equaled nowhere else in American political life. Frankly, I think the NRA ought to found a for-profit subsidiary organization that insurance companies, doctors, and consumers could pay to protect our right to private and unrationed choice in health care. Isn’t it amazing that the Obama Administration just ignored negative polls in the high 50 percentage points and nationalized health care anyway? They are facing two-thirds disapproval ratings on the way they’re handling the economy and that is not deterring them a bit. But when democrat mischief connected with the shooting sports is afoot these days, the NRA works on the Obama Administration like a crucifix works on vampires. If you’re not a member, go to the column on the right and join the NRA. Just click on the other picture of Charlton Heston holding up a rifle. In a swift and unexpected decision, the Environmental Protection Agency today rejected a petition from environmental groups to ban the use of lead in bullets and shotgun shells, claiming it doesn’t have jurisdiction to weigh on the controversial Second Amendment issue. The decision came just hours after the Drudge Report posted stories from Washington Whispers and the Weekly Standard about how gun groups were fighting the lead bullet ban. The EPA had planned to solicit public responses to the petition for two months, but this afternoon issued a statement rejecting a 100-page request from the Center for Biological Diversity, the American Bird Conservancy, and three other groups for a ban on lead bullets, shot, and fishing sinkers. The agency is still considering what to do about sinkers. The decision was a huge victory for the National Rifle Association which just seven days ago asked that the EPA reject the petition, suggesting that it was a back door attempt to limit hunting and impose gun control. It also was a politically savvy move to take gun control off the table as the Democrats ready for a very difficult midterm election. The National Shooting Sports Foundation warns that Lisa Perez Jackson, Barack Obama’s Environmental Protection Agency Administrator, the same leftwing fashionista who misused her state environmental office to pander to the whims of liberal extremist groups by imposing a ban on bear hunting in New Jersey, is considering implementing a nationwide ban on all traditional lead ammunition in response to a petition from the Center for Biological Diversity. Lead sinkers would be banned for fishing, too, by the way. Here is their petition filed August 3, urging a nationwide ban on lead-based ammunition and fishing tackle. The estimates of wildlife deaths caused by lead ingestion are the purest of fabrications, based entirely on supposititious estimates created with massaged figures drawn from artfully selected data. Who ever saw an animal eat a spent bullet? Nonetheless, such a ban, implemented by the EPA (on the basis of legislation which explicitly exempted ammunition) would have a devastating impact on all the shooting sports, enormously raising ammunition costs while drastically impairing performance. The quantities of game animals wounded rather than killed would be enormous if such a ban became a reality. The NSSF is strongly urging us to send in letters opposing the EPA action, but personally I think the fix is in, and writing Lisa Jackson is a waste of time. I suggest advising your congressman and senators of your strong opposition, and voting Republican in November. Firequest has some new loadings for when you really want to take down that intruder. Pure Power! The Pit Bull is a powerful 12 gauge round packed with six 00-Buck pellets topped with a heavy-duty 1.3 ounce slug! Loaded extra hot for MAXIMUM stopping power. Once it bites it won’t let go. This is the number one rated ammo for home and self defense. This 12 gauge round contains dozens of razor sharp steel tacks that blast out at high velocity which virtually guarantees that there will no response from the perpetrator. Each round is buffed with #12 shot thus creating a double shock to the wound area. Absolutely will not harm your shotgun. To be used no closer than 10 feet and no further than 50 feet. 2 3/4″ round. Or are simply feeling festive. This ammo is for theatrics and serious amusement! The shell is packed with powder and colored confetti. When shot, it will make a large circle in the air between 10 and 15 feet in diameter. The paper then blows away in the wind. Great for parties and plain old fashioned fun! This is a spectacular round and must be seen to believe. 2 3/4” round. the Archives of Never Yet Melted in the 'Ammunition' Category.